Remember those days when we used to wear a batch on our school uniforms. If you ask people then everyone will give different reasons for wearing a batch. Batches can be used for different reasons like as a uniform requirement, for a cause or just to become a fashion icon. This study will give you a detail about the history as well as the emerging trends in the badge market. For all of us, badges are a crucial part of our daily life but few of us know the origin of pin badges. The badge was introduced during the latter half of the nineteenth century. Two companies namely Hoag Ltd and Whitehead Ltd had taken away patent for badges in the year 1894. In order to make it more attractive, they had protected it with the help of celluloid. Queen Victoria is known to give it as a souvenir to the people when she was celebrating the diamond jubilee of her reign. In fact, an exhibition of wonderfully designed batches captured the markets of London. So when you wear a batch you should feel the pride. Nowadays people want to wear everything right from apparels to shoes as per the latest trends. There are significant changes encountered in the field of pins. Enamel pins seem to take away the market of pin badges. They can be used for any occasion; be it to show off your feeling or for a noble cause. Most of us will feel that it can only be a part of men’s wear but it is a very wrong concept. Even women can also wear them over leather jackets. If your kids are bored with wearing the same designer clothes then give their boring design a new hue of refreshment by pairing it with rainbow-colored badges. As pins are quite small and so there are maximum possibilities of losing them. In order to safeguard your pins, you need to buy a pin lock. There was a time when soldiers used to make use of threaded locks for securing their badges for it used to hold immense importance to them. However, in today’s world, if we look at pin locks, we will find rubber backings and other styles. ● Butterfly clutches are commonly used by people as it is both secure and classy. One need to just press on the wings and the locks get open automatically. ● If you strike a comparison between rubber lock and butterfly clutch, you will find that rubber tends to tighten the locks whereas butterfly locks are loose. If you wear a rubber backed pin badges then you will not face any issue of scratching your skin. ● If you want to give elite look to your pin locks then you can opt for deluxe locking pins that are made of metal. 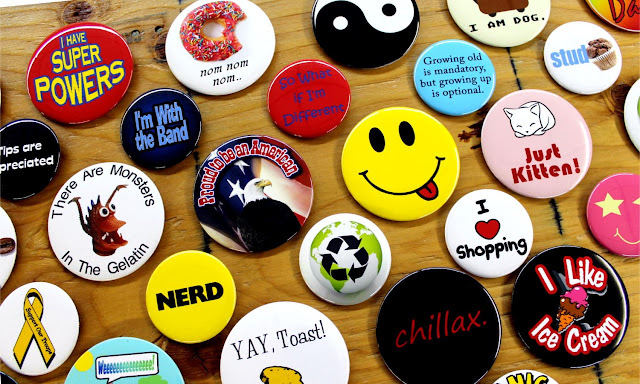 Therefore, it can be said that badges are sure to enhance your overall look. It can even transform your poorly designed apparel into a classic one. One needs to carefully choose their badges as per their requirements and their fashion statement.